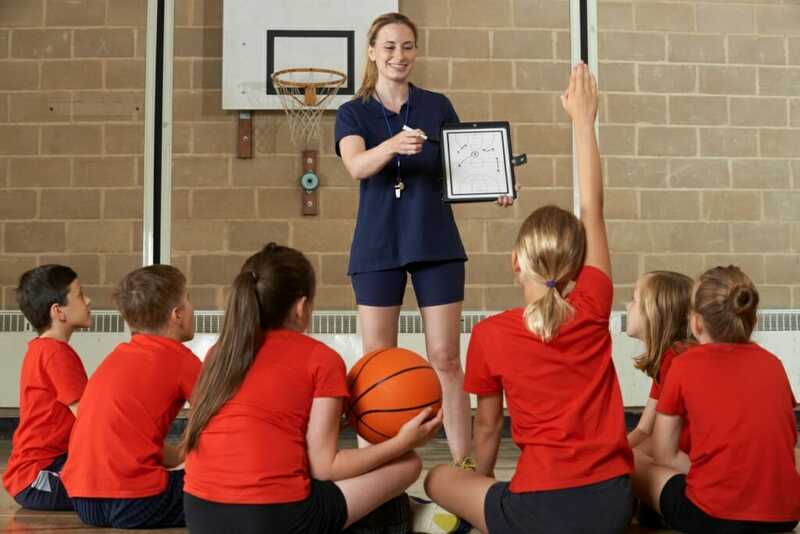 Coaching a youth basketball team is one of the most enjoyable – and most challenging – tasks you’ll ever take on. Whether you’re doing it to spend more time with your child, contribute to your community, or just express your love for the game, proper preparation is essential for success. Below you’ll find links to our most popular youth basketball drills and coaching resources. If you’re working with very young kids (8 and under), go straight to our beginners basketball drills section instead. Or, if you’re just looking for some silly ideas to put a smile on your team’s face, check out our fun basketball drills for kids. Now you can run an amazing basketball practice that rapidly boosts your team's skill level... with just 30 seconds of practice time! No stress. No fuss. You just have fun with the kids and take all the credit. 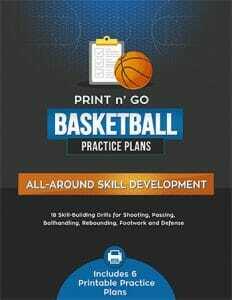 Inside Print n' Go Basketball Practice Plans, you'll get instant access to 18 fun youth basketball drills for shooting, passing, dribbling, rebounding and defense. All organized into 6 printable practice plans you can take right to the gym! Click here to get started. Shooting Basics for Youth Basketball - B.E.E.F. Ready to take it up a notch? Check out our drillbooks and playbooks as well! Excellent body of work. Organized well and easy to use. Age appropriate..